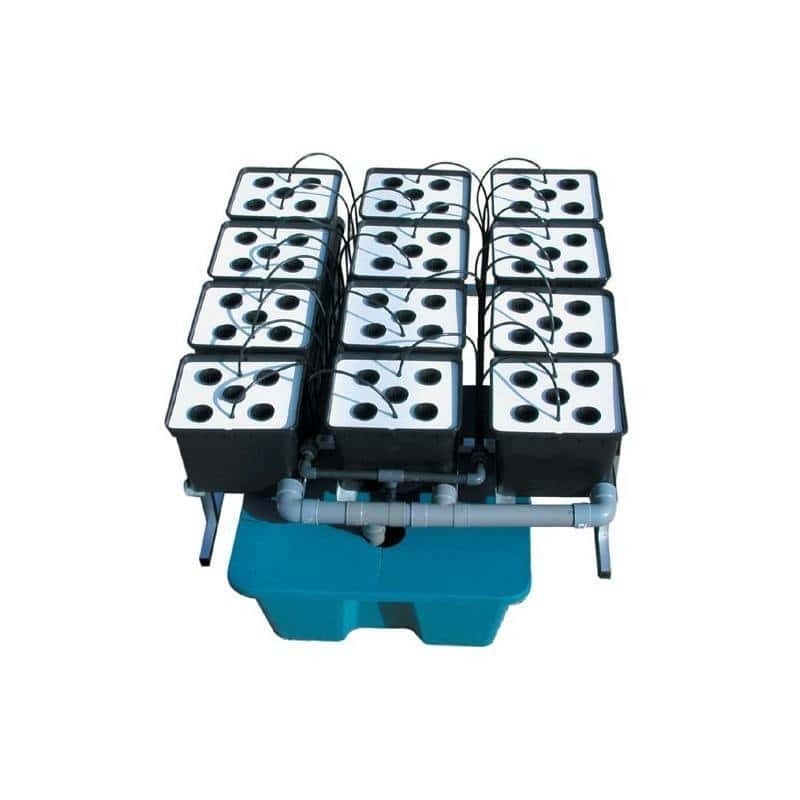 The Dutch Pot Aero from General Hydroponics is a culture system for aeroponic growings that creates a network of small pots thus forming a grid. Each pot is watered independently, to give each plant what it needs. 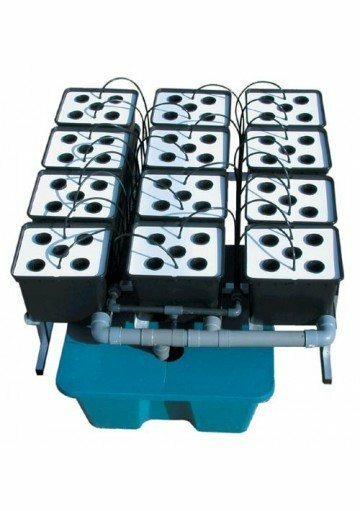 The Dutch Pot Aero from General Hydroponics is a culture system for aeroponic growings creating a network of small pots thus forming a grid. Each pot is watered independently, to give each plant what it needs thanks to the circulation of water in a closed circuit. It is one of the most practical, reliable and economical indoor growing systems in aeroponics that exists on the market. Besides that it is also a very flexible system: you can easily go from a few pots installation to a network of thousands of sherds for commercial cultivations. Moreover, you can turn Dutch Pot Aero into a Dutch Pot Hydro and vice-versa. This flexibility and conversion capability allows to adapt to the temperature conditions. During the hottest days of the year, you can work with the Dutch Pot Hydro and expanded clay aggregate to protect the roots, and then turn it into Dutch Pot Aero when the temperature drops. The Dutch Pot Aero is made of recycled plastic with UV protection, thus being extremely resistant. Thanks to the circulation of water in a closed circuit, you can save large amounts of water and nutrients. Besides that, the system does not create any harmful residue for the environment. The arlita can be washed and reused various times. Dutch Pot Aero is available in 2 different sizes of 1M2 and 2M2, allowing you to grow between 12-60 or 24-120, respectively. The 1M2 size includes 12 pots and the 2M2 size 24 pots.